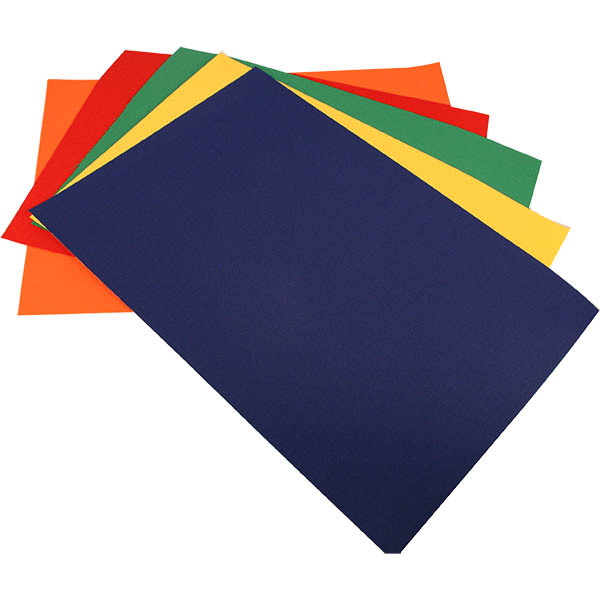 Some of you may already know that EnMart sells the material we use to make our blank patches in sheets as well. These fabric sheets are 12 x 17 pieces of material, available in 20 + colors and sold with either heat seal or sew on backing. We know that people often buy the sheets to make their own patches but we’ve never really thought about other uses. Luckily, we have customers and friends who do. One of the forums that I visit on a regular basis is the Apparel Decorators Forum. This is a terrific forum and I highly recommend it to anyone who works with any sort of garment or product decoration. Some of the members of the forum have also become EnMart customers, and they, on occasion, make suggestions for new ways to use our products. This is how a new use for fabric sheets was discovered. Imagine being able to create a full color patch with no restrictions on size or shape. Design it, sublimate it, cut it with a plotter/cutter or scissors and apply it to your garment. He used a white fabric sheet. The design was sublimated at 380 degrees for 40 seconds. His fabric sheet had a heat seal backing, so he then pressed the sublimated fabric onto the garment, again at 380 degrees, this time for 15 seconds. He reports that the heat seal backing hold securely. You can read the entire thread, including his description of the process, by joining the forum. It only takes a minute to register, and I can tell you it’s totally worth it. Thanks to Ken for thinking up a new use for an EnMart product, and for sharing his process and the outcome with us. As always, we appreciate the support of the ADF members.